Red Ribbon Week is the national no-drugs initiative for anti-drug awareness and prevention with campaigns and events. Red Ribbon Resources is proud to provide Red Ribbon Week products, supplies, and activity ideas. 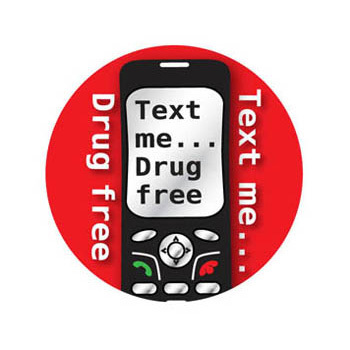 With young kids so focused on smart phones at younger and younger ages, Red Ribbon Resources offers the Text Me...Drug Free wrist wrap, self-stick ribbon, stickers on a roll, and pencil. Join the movement to educate our kids about the value and benefits of healthy way of living - drug-free!